Classical music is beautiful, artistic, and lives on even today, in the modern era. Now, with the advancement of technology, we’re capable of lifting and elevating the oldest pieces of art to completely different heights – with bleeding-edge headphones. Let’s open up our review with Bose’s Quiet Comfort 25. Frankly, this is not the latest version from the “Quiet Comfort” series, but it’s absolutely perfect for classical music due to excellent ambient noise reduction, relatively approachable price, and stunningly powerful performance. The drivers outfitted to Quiet Comfort 25 are very strong, complementing the already balanced soundstage. The bass is deep, mids are transparent, and the highs are decently crispy for those violin/cello passages we all love and adore. On top of that, the overall construction is lightweight and compact, making it an ideal travel companion. Bose is famous for their headphone technology, and it’s safe to say that there are only a few brands that could match their drivers. The quality of sound Quiet Comfort 25 offers, atop the acoustic noise reduction is sure to bring you the most exquisite experience. These headphones are generally not that expensive, and considering what they bring to the table, they’re well worth the cash. However, earcup foam isn’t as durable and will wear away quite fast. You’ll need to invest extra care and perform regular maintenance if you want these headphones to last. All things accounted for, Bose’s Quiet Comfort 25 does a major bang for the money. 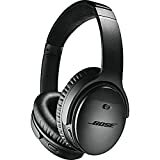 Excellent sound, substantial noise reduction and compact, lightweight design are but some of the benefits you should expect if you buy these headphones. If you’re into technology, you must’ve heard about Sennheiser – a giant in the electronics department that makes some of the best headphones available on the market. We present to you the RS 175 RF headphone system – it’s a combo of headphones and a headphone base which will, undoubtedly, grant you the means to enjoy in your classical music on a totally different level. Although the main controls are located on the phones themselves, the base does feature several utility functions which will allow you to customize the sound on your tracks. This system features a bass boost, as well as SS listening mode (surround sound). The oversized earcups will negate most (if not all) ambient noise while the soundstage of RS 175 RF simply can’t get any better. That being said, the two biggest qualities headphones for classical music need to have are present here. Atop of that, there two modes of listening for you to enjoy while using the base, and the headphones themselves are very compact and comfortable. Learning how to use all of these features might require some getting used to. Furthermore, these headphones don’t exactly come cheap. Don’t be dissuaded by the expensiveness of these headphones – they’re well worth the money. We guarantee that you’ll change the way you perceive classical music (and headphone technology, for that matter) forever as soon as you start using the RS 175 RF headphone system. Panasonic’s headphones are generally awesome, but it’s safe to say that they outdid themselves with RP0HD605-N-K. There are plenty of reasons why we’re picking these headphones for our classical music headphone review, including 3 levels of noise cancelling, noise enhancer feature, exceptional Hi-Fi sound, and wireless convenience. You’ll be able to enjoy up to 20 full hours of music with these headphones, and you’ll notice every little detail in your tracks due to the exceptionally powerful 40mm driver units. The anti-vibration frame ensures that your music runs smooth and as natural as possible. These headphones pack three levels of noise-cancelling settings – you’ll be able to specify the amount of ambient noise you want filtered. On top of that, the sound quality is impeccable, and the overall duration of these headphones is through the roof. The only bad thing about the noise cancelling levels is that you’ll hear an announcement ring each time you use this feature. This isn’t a fatal flaw per se, but most people find it as annoying. Though expensive, Panasonic’s RP0HD605N-K headphones are well worth the cash. Few models could top the noise cancelling this model provides, and the sound quality is more that you’d bargain for. If you liked Bose’s Quiet Comfort 25, we guarantee that you’ll absolutely love the Quiet Comfort 35. These headphones pack even more power, come supplied with noise-rejecting system that almost completely negates any and all ambient noise. What’s more, there’s a three-level noise cancelling option (just like with Panasonic’s model we reviewed in the section above), and 20 hours of total playtime before you need to recharge it. The soundstage is balanced, and it goes without saying that the drivers are more than capable of delivering full detail of your classical music straight to your ears. Bose’s Quiet Comfort 35 was intended for people who really want to enjoy in their music – not so much for casual listeners who simply want to snuff the silence out. The power of the drivers alone is enough to declare it as one of the finest headphones for classical music, but on top of that you’ll get plenty of playtime and unparalleled noise cancelling features. We disliked the constant need for firmware updates these headphones require. Namely, you’ll need to update them a bit too frequently for comfort. If you’re prepared to pay top dollar, Bose’s Quiet Comfort 35 will redefine every thought you had about classical music. Surely enough, the firmware updates are a bummer, but considering all the benefits Quiet Comfort 35 offers, it does a major bang for the buck. Audio Quality: The quality of audio is definitely the first thing that differentiates those models that are good from those that aren’t good for classical music. Plainly put, almost all classical compositions feature a large “arsenal” of instruments, and you simply won’t be able to immerse yourself in the experience if the audio quality isn’t top notch. 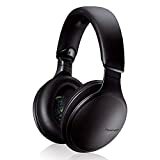 Most “audiophile” headphones (sometimes referred to as “Hi-Fi”) are suitable for this type of music as they provide the best audio quality possible. Sound Isolation: Just like we’ve mentioned earlier, there are plenty of instruments to be heard in classical music. Even if your headphones ensure top-notch quality of sound, ambient noise can still infiltrate your peace and prevent you from enjoying your sweet time. Headphones with good sound isolation are preferable and recommended, although this is not as vital as the audio quality itself. Price: You’ll notice that most headphones that are referred to as “good for classical music” cost quite a lot. The reason for that is quite simple – audiophiles and people who don’t mind paying an arm and a leg get to enjoy in classical music in the way it was meant to be. Surely enough, there are less expensive variants which could get the job done properly, but we advise that you start saving up if you haven’t already. Finding the best headphones for classical music isn’t that hard – of course, sifting through a plethora of premium-quality models can be time consuming, but we’re here to help you out on that one. Browse through our picks and we guarantee that you’ll find a headphone set that will suit your needs just fine.